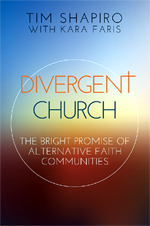 “This book fuels the imagination for what churches can be. 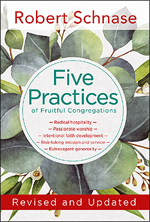 The author makes the case that healthy, productive churches tend to practice radical hospitality, passionate worship, intentional faith development, risk-taking mission and service, and extravagant generosity. In each chapter he unpacks what each of these practices means and gives several examples of what it looks like. This would make for a good church-wide study. Every church would do well to consider how it is doing in each of these five areas.” Amazon.com review. How each Practice has changed in the last decade? The new issues or concerns that leaders need to consider in relation to each Practice. Living with Heart, Soul, and Mind. 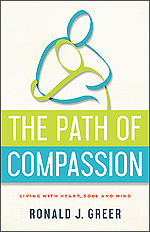 Greer, a seasoned pastoral counsellor, examines how we can learn to act compassionately. He provides a map for the journey to become compassionate and describes a process of spiritual development. 20 Favorite Bible Stories and Prayers. From the beloved The Beginner’s Bible brand comes a padded, glow-in-the-dark book that’s perfect for bedtime. 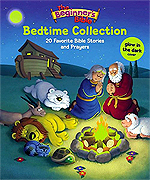 Little ones will love the vibrant, 3-D art, and parents will love sharing Bible stories and good night prayers with their children. 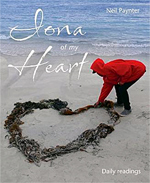 This book gently introduces the trauma of exile to young readers. Narrated by an eight-year-old child, a family moves from 1960s Fascist Portugal to Communist Czechoslovakia in search of a better future. But the new country is far from ideal. The buildings are gray boxes and everyone wears monotone, orange, green, or gray sweaters knit in the same pattern. 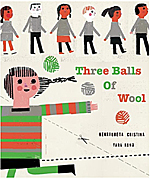 With three balls of wool and lots of ingenuity, her mother grapples with a difficult reality and sparks real change. 100 contemporary texts to common tunes. John L Bell & Graham Maule. What if we kept familiar tunes – hymn tunes or folk tunes – and set words to them in 21st-century idioms? What if we gave some ancient psalms a makeover, replaced threadbare wedding and funeral songs or dealt with the things that people actually talk about when they’re not in church? And what if most of the suggested tunes were so well known that – even if musicians took the huff – people could still sing the verses on their own? Here are 100 21st-century hymn texts by John L Bell & Graham Maule that can be sung to familiar tunes. 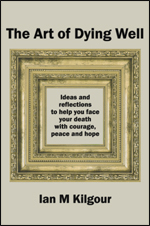 The book can be used for group or individual reflection and is intended to inspire positive action and change in our lives. 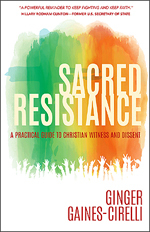 A Practical Guide to Christian Witness and Dissent. In the midst of polarised communities and nations, religious leaders across the theological spectrum are seeking help with how to respond and lead in troubled times. The need for courage to speak out and act is ever-present, because every generation faces a new set of fears and troubles. Author Ginger Gaines-Cirelli pastors a church in the heart of Washington DC, adjacent to the White House, which actively works to bring justice and help for marginalised communities, refugees and immigrants, and the endangered earth. She inspires and leads this work through preaching and by organising and developing strong leaders, deeply rooted in a well-developed theological understanding. Pastoral warmth and compassion characterise the recommended practices. Coming Out Into God’s Call. As John Wesley discovered his true spiritual identity, he experienced a strangely warmed heart. 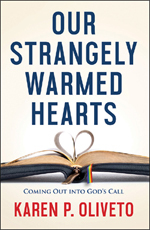 Through poignant stories and well-reasoned principles, Karen Oliveto discloses why and how spiritual renewal and a personal call to ministry emerge in the strangely warmed hearts of lesbian and gay Christians. This book includes first-person narratives of LGBTQ persons faithfully serving in a denomination that denies their calls and—in some cases—their presence. These stories will show how the coming out process is deeply spiritual as one grows into an authentic, God-created and graced self. 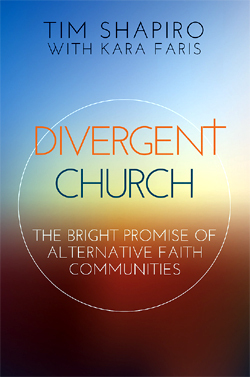 The Bright Promise of Alternative Faith Communities. Pbk 156pp. ISBN 9781501842597. Abingdon Press (2017). This fascinating book reveals how innovative Christians are engaging in time-honoured practices to create new types of faith communities, which will shape the church to come. What these unconventional, alternative faith communities look like. How they are indicators of a hopeful new future for the church. And what can we learn from them. How to Sustain Effective Ministry. 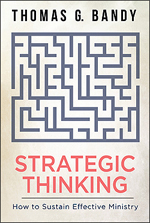 Strategic thinking is not about seeing a need and addressing it. It is about focusing on a purpose and pursuing it single-mindedly. Tom Bandy provides step-by-step plans to guide church leaders to set boundaries, align resources to visions, and hold church leaders and members accountable for integrity and purpose. In this book, you will learn how to reliably and regularly research the community surrounding your church, discern divine presence, and assess effectiveness. You’ll find tools to help you set priorities and have the courage to take reasonable risks. 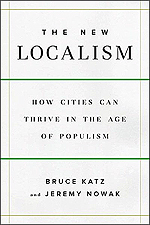 How Cities Can Thrive in the Age of Populism. The New Localism provides a roadmap for change that starts in the communities where most people live and work. Pittsburgh is catalysing inclusive growth by inventing and deploying new industries and technologies. Indianapolis is governing its city and metropolis through a network of public, private and civic leaders. Copenhagen is using publicly owned assets like their waterfront to spur large scale redevelopment and finance infrastructure from land sales. Out of these stories emerge new norms of growth, governance, and finance and a path toward a more prosperous, sustainable, and inclusive society. 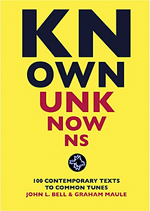 Katz and Nowak imagine a world in which urban institutions finance the future through smart investments in innovation, infrastructure and children and urban intermediaries take solutions created in one city and adapt and tailor them to other cities with speed and precision. Returning to the Roots of Ministry. 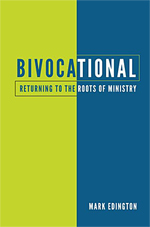 Bivocational explores the impact on the ministry, on congregations, and on denominations of encouraging a way forward in which ordained professionals – ministers working simultaneously in the church and in secular life – come to leadership positions in the church. Edington contends that the model of professional ministry we have received from the past century of congregational life is imposing unsustainable costs on most congregations and parishes. Shall we merge with another congregation—a decision shaped by a primary value on maintaining a full-time professional in the role of ordained minister? Can we find someone who will do the job part-time? What will it mean for them—and for us? We have over 160 titles loaded on Trade Me, many of which are now reduced to $5.00 or less (but only while stock lasts). These are all in stock now. 50 are listed as auctions at any one time. They are all Buy Now only, so order straight away to secure your books. The listings last 5 days, so come back every few days to see a fresh list. Click here for our current listings on TradeMe. Want to get published in 2018?